One of the great wishes of humanity is to be SEEN. The film (12 minutes) is a reflection upon James's 1999 visit to Sudan and the conditions in areas where Dinka and Nuba and Nuer live on the Nile River plain and the Nuba mountains. 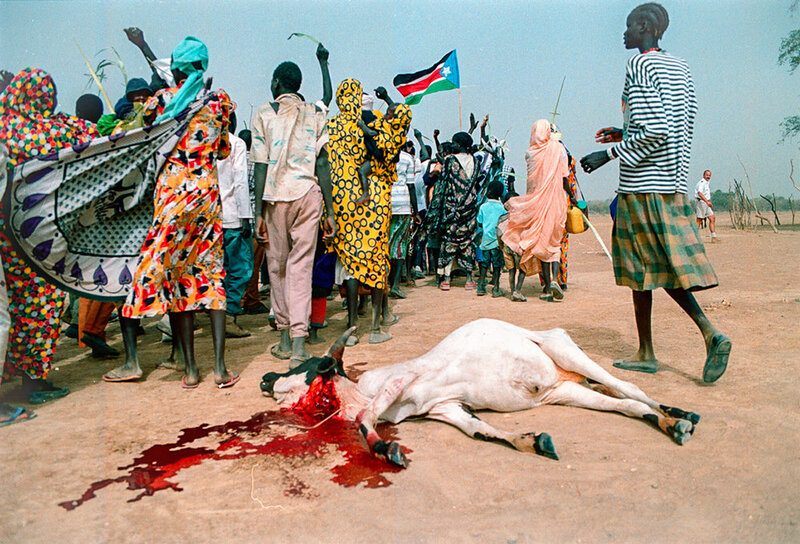 The Sudan War has been active for decades and people continue to be killed. Who are these people? Will they be lost to human history? It is hoped you will appreciate who they are. Based upon a gallery show in Paris, 2015, James introduces his work and explores the creative source of life, the Unseen. San Miguel de Allende, Mexico, the Day of the Dead, or All Souls Day, is a universal remembrance of the dead. It is a time to bring to light the remaining connection of the dead and the living. This is a work showing celebrations and joy and the life of the living body in beautiful form flinging itself into the light of now, while we remember the lives of those who are gently remaining. This suite of images is a memorial of the visit in 1999 to what would become South Sudan. Sudan was filled with intangibles. It had little else. The boy standing in the dust is naked and alone. He stood near a plane that would bring us safely home while he remained alone in the dust and the intense noonday sun. The Nuba and Dinka and Nuer are now subject to a deeply destructive war from within as well as from the North. There is no longer any safety or places to hide as troops steal cattle, burn crops, and rob sustainability.